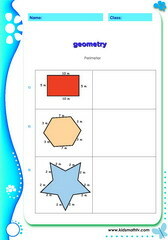 Geometry worksheets for teachers and parents, test your children's math skills, printable math tests for kids, Pre-k to 7th grades. 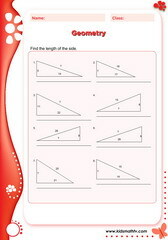 Geometry worksheets for teachers and parents to test their children's math skills. 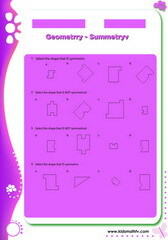 These worksheets cover and test math topics like: recognizing shapes, planar and 3D shapes, relating shapes to daily objects, finding the perimeter, volume and area of figures like circles, square, triangle and more. 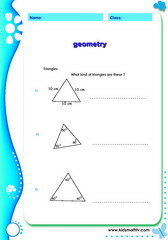 Each worksheet is a unique math test on geometry, featuring several math questions. 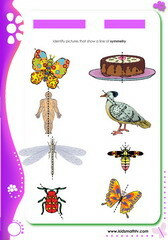 These resources also have an answer key which will make them easy for use by parents and teachers of primary school kids. 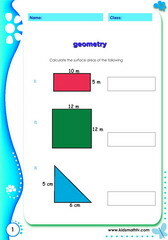 Improve math skills on geometry and get more practice with the videos and games found on this site. 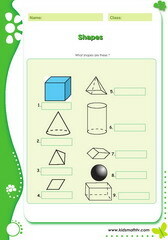 Practice Geometry shapes cones cubes with this worksheet. Practice Identify symmetry with shapes with this worksheet. 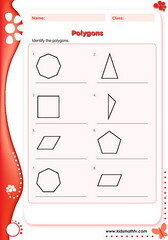 Practice Learn to draw shapes with this worksheet. Practice Learn to trace shapes with this worksheet. 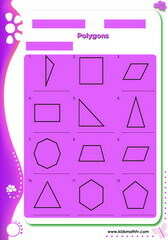 Practice Shapes circle elypse square rhombus with this worksheet. Practice Shapes hexagon septagon octagon with this worksheet. 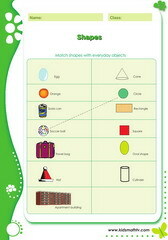 Practice Shapes in real life with this worksheet. 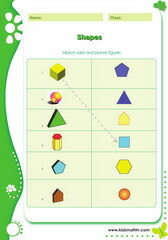 Practice Solid matched with planar shapes with this worksheet. Practice Symmetry symmetry with shapes 2 with this worksheet. Practice Symmetry symmetry with shapes with this worksheet. Practice Angles with this worksheet. 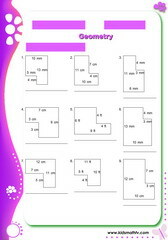 Practice Areas and perimeter of rectangles with this worksheet. Practice Areas of shapes and formulars with this worksheet. Practice Find the perimeter area with this worksheet. Practice Geometry open and close curves with this worksheet. 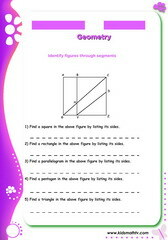 Practice Geometry identifying segments with this worksheet. Practice Measure rectangles and squares with this worksheet. 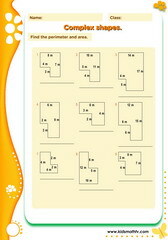 Practice Mix shapes perimeter area with this worksheet. 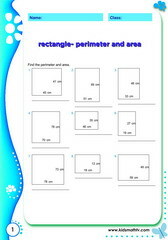 Practice Perimeter with this worksheet. Practice Symmetry of shapes with this worksheet. 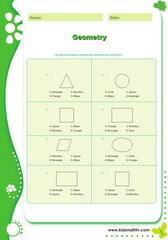 Practice Area of circles with this worksheet. 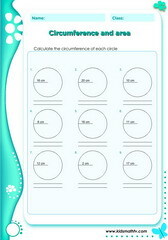 Practice Circumference of circles with this worksheet. Practice Perimeter and area of complex shapes with this worksheet. 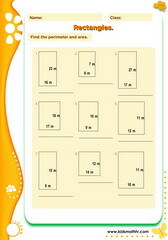 Practice Perimeter and area of rectangles with this worksheet. 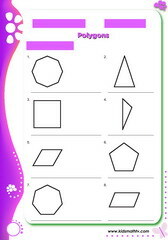 Practice Polygon sides vertices with this worksheet. 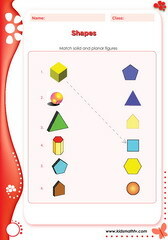 Practice Shapes with this worksheet. 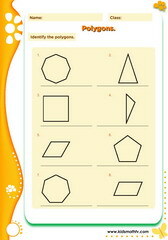 Practice Symmetry with shapes with this worksheet. 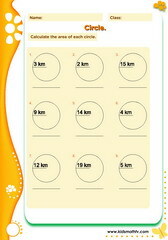 Practice Area of circles 2 with this worksheet. Practice Measure angles with a protractor with this worksheet. Practice Perimeter and area of l shapes with this worksheet. 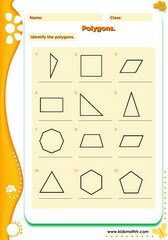 Practice Polygons sides vertices with this worksheet. Practice Pythagorean theorem with this worksheet. 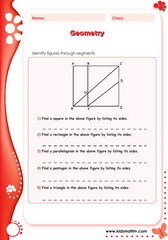 Practice Solid and planar figures with this worksheet. 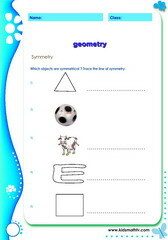 Practice Symmetry real life objects with this worksheet. Practice Symmetry 2 with this worksheet. 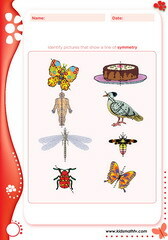 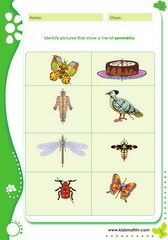 Practice Symmetry with pictures with this worksheet. 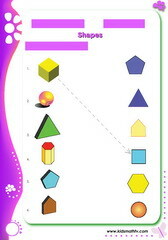 Practice Triangles circles cubes areas with this worksheet. 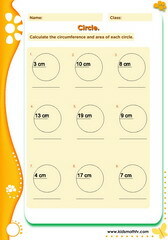 Practice Circumference area with this worksheet. 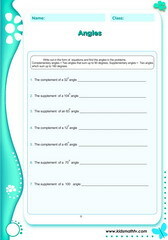 Practice Complementary supplementary angles with this worksheet. Practice L shapes perimeter area with this worksheet. Practice Perimeter area of squares with this worksheet. 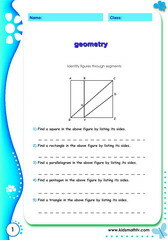 Practice Surface area of complex figures with this worksheet. Practice Triangle perimeter area with this worksheet. 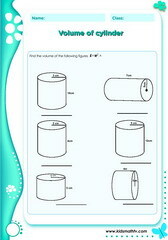 Practice Volume of cylinder with this worksheet.